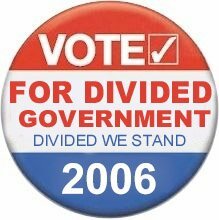 The Dividist Papers: Ann Coulter Validates Divided Government Voting Strategy! Ann Coulter Validates Divided Government Voting Strategy! Exactly. 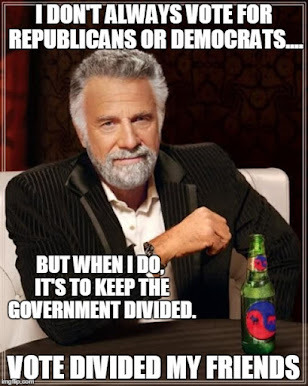 Thank you Ann, for that strong endorsement of the virtues of Divided Federal Government - where the Executive and Legislative Branches are split between the parties. Clearly, we both now recognize the damage that single party control of the government can do to our liberty and economy, whether it is the Democratic single party dominance of the LBJ administration, the first two years of the Clinton administration, or the worst of all time, the last five plus years of Republican control during the Bush administration. I am sure we can now count on your support to help reign in the continuing wild out-of-control spending, fiscal irresponsibility and rapidly expanding government growth and power by supporting the DWSUWF 2006 Voting strategy and electing Democrats into control of congress. 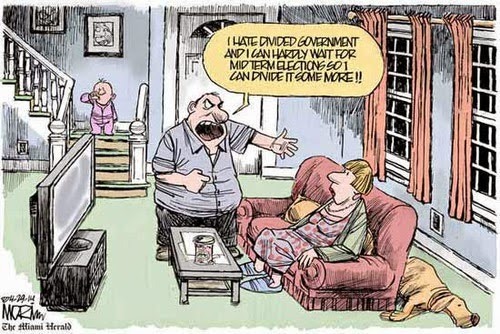 Technorati tags: divided government, Bill Clinton,Godless, Republican, Ann Coulter.